Fork Union Military Academy will play host to the VISAA State Championships in Cross Country this weekend. As these teams make their return to the Hardy National XC Course they will be attempting to win one of the four team titles and four individual state titles up for grabs this Friday. The competition itself will be broken into two divisions, D1 and D2, for athletes from larger or smaller schools. Up first will be the D1 boys followed by D2. This first race will set the tone for the day and honestly there is no better field than this to take care of that job. Here we will see St. Christopher's attempt to win back-to-back titles with Norfolk Academy as the favorites. The success of both teams will come down to how their pack runs in this championship meet. St. Christopher's will need at least one breakout performance to have a chance here while Norfolk Academy just needs to put three in front of St. Chris. Individually this race will be something to watch as well with Max Greczyn (Bishop O'Connell) back to defend his title. Owen Richards has emerged as his toughest competition this season after finishing 7th a year ago. 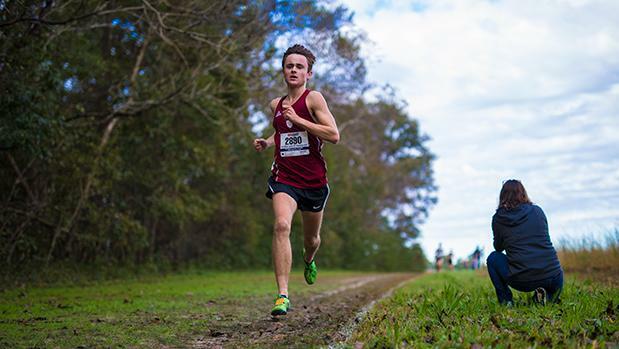 MileStat.com Predictions: St. Chris Boys Win Team Title, Greczyn Wins Individual Title. This race can be previewed in just two words: Daniel O'Brien. The Virginia Episcopal star has gone from a VISAA D2 star to a VISAA star to a statewide star in the past 365 days. He is now one of the better runners in the entire country and this weekend should be a great display of that talent. 15:57 is the State Meet Record and is well within his reach. If the weather cooperates he will be on record alert. Chasing him will be Patrick Murphy of Walsingham Academy. Team wise Virginia Episcopal is also the team to watch. They have been building for this moment for years and after finishing second last year they are certainly ready for a big break through this Friday. MileStat.com Predictions: VES and Dan O'Brien Sweep! The Saints of Saint Catherine's make their return to the State Meet with winning another title on their mind. They won last year's competition over Collegiate and this year will look to do the same over Norfolk Academy and Collegiate. They are led by senior and Virginia Tech commit Hannah Ballowe who has made quite the XC name for herself these past two years. She won big last year and will look to do the same again this year. This year though she will certainly have more company upfront. 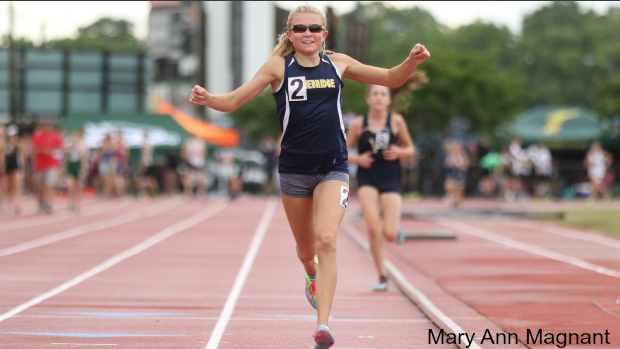 Her biggest competitor will be Mary Kehoe who finished third a year ago as a freshman. 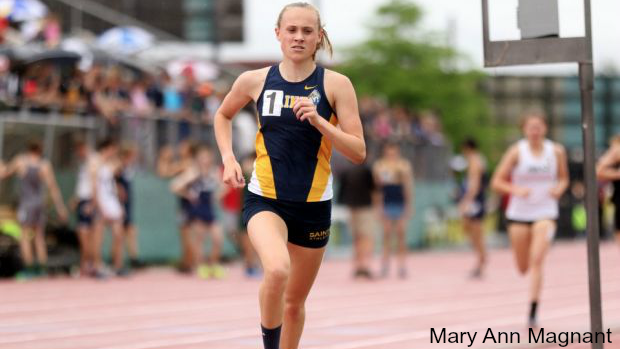 This year with a state meet under her belt and a whole lot more training the race could go very different. Ballowe wants this race to be a pack race for the first half and then separate from the field. She does not want it to be a three girl race in the final mile. She definitely can out-kick any of the other girls in this race but may not fair as well if the pace is just non-stop hard. The final race on the day will be the Girls D2 Championship race. Thankfully they saved the best for last. Not only will this race feature likely the closest head-to-head individual race but it will also feature the closest team title battle as well. On paper, using our virtual meet it looks like this one could come down to a single point between Trinity Christian and The Covenant School. Those teams placed second and fourth last year and definitely want the title this year. Individually things will also be close with Hope Frost (pictured above) and Ella Dalton battling it out again. They finished 1-2 last year with Dalton taking the win in XC but Frost winning the 3200 and 1600 in track. This race and ultimately the team title will come down to those final meters.